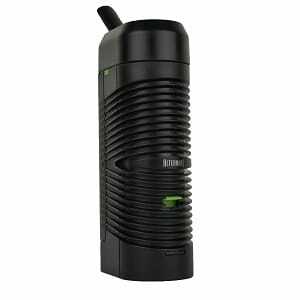 The Vivant Alternate is a hybrid convection/conduction dry herb vaporizer made by Vivant. This is their first dry herb vaporizer, but they have been in the electronic cigarette industry for a while. 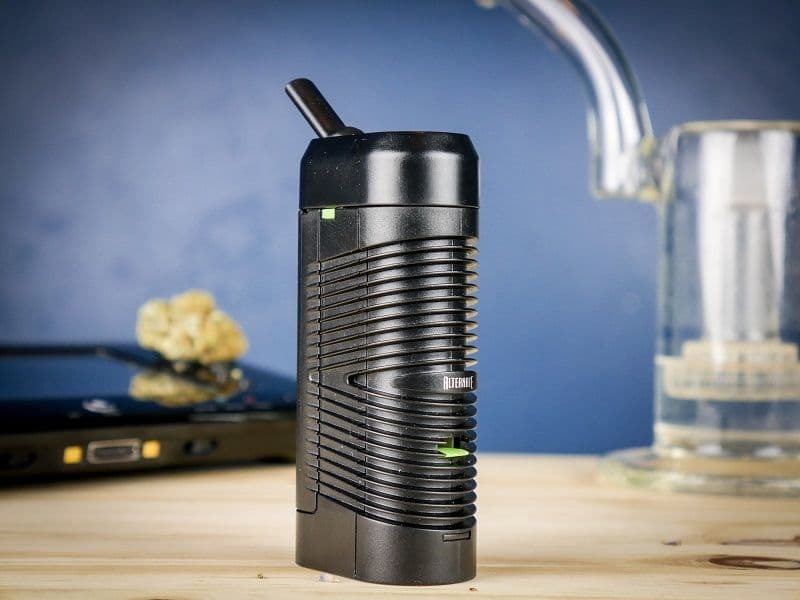 The Alternate Vaporizer offers replaceable batteries, a full temp spectrum ranging from 158F – 428F, on vape temp display and USB charging. Truthfully the Alternate had a lot of potential and I was really excited for it at first, but unfortunately it has a few glaring issues that turn me off on this unit. The Alternate vaporizer directly competes with the CF from Boundless and the Starry from Xmax. It’s also clearly takes after the Crafty by Storz and Bickel but unfortunately I would much rather have any of those units than the Alternate. 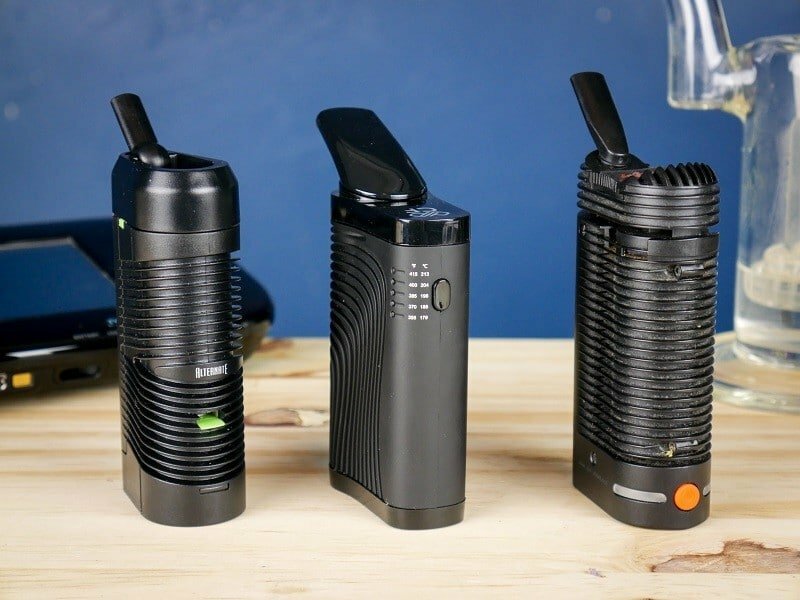 I’ll get more into the details between these three vaporizers towards the end of this Alternate vaporizer review. Like I mentioned above, the Alternate basically mimics the Crafty from S & B. It’s lightweight, small, easy to pocket and easy to conceal. The exterior plastic fins or heat-sinks feel cheaper than the Crafty and overall the unit just don’t seem as solid but that’s expected with the price difference. So far nothing has broken, nothing has scratched and everything seems to fit together and hold up pretty nicely. I would say the build quality is about on par with my expectations for a budget priced vape. (L to R) Alternate, CF, Crafty. The Vivant features a full temp spectrum via a hybrid heating system. After a bunch of rounds of burn-offs I never fully able to get the new vaporizer and plastic smell/taste to disappear and the vapor quality is definitely affected by this. The flavor is decent at low temps, but at the higher temps and at the very end of the bowl you definitely . What I really like a lot about the Alternate is how free flowing it is with the adjustable airflow opened all the way up. The heater does take a while to get up to temp (about 90 seconds with a full charged battery) but the heating system has a large thermal mass, which allows it to keep the temp up during long/hard draws better than other vapes in this price range. With the high thermal mass, and minimal draw resistance this thing can rip. You will have no problem getting very large clouds if that is your goal. The Alternate bowl holds roughly .15 grams so it is a bit on the smaller side for group sessions, but its great for 1 or 2 people and easy to repack. The bowl is heated very evenly and does not need any stirring. One big difference between this and the CF compared to the Crafty is the fact that they both made their own versions of the cooling unit on the top. The Crafty cooling unit is basically a vapor path maze that does a great job cool and conditioning the vapor before it hits your lips. With the CF, the bowl and the mouthpiece stem are on the same side of the unit, so there was essentially no vapor path at all. The Alternate improved on the CF, because the bowl and the mouthpiece stem are on opposite sides, so there is a short vapor path, but it still doesn’t work near as well as the Crafty cooling unit they took inspiration from. Also the stem needs to be fully extended or there is a leak in the vapor path, this has not affected me yet, but something to be aware of. So overall they made improvements to the vapor path over the CF, but they are still quite a ways behind the Crafty. The Alternate mouthpiece is where the most glaring issue shows up. Unfortunately they used cheap plastic that gets heat degraded over time and then eventually cracks after heavy use. They have attempted to release a few new mouthpiece designs but none of them have solved the issue. 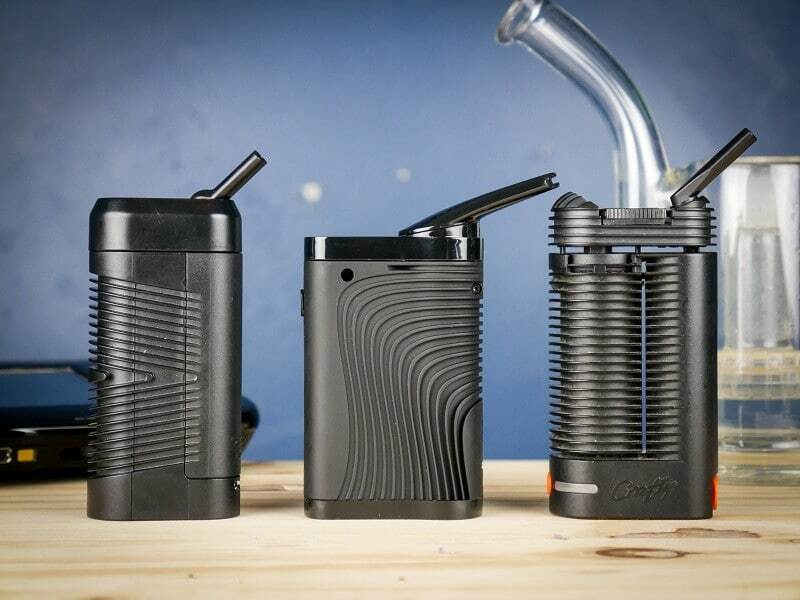 The Alternate vaporizer offers a full temp spectrum ranging from 158F to 428F (70C– 220C). You can adjust the temps via buttons located directly on the unit. The small display on the bottom of the unit also lets you see the current temp and the battery life remaining. This is something I like better than the Crafty, it is great having full control right on the bottom of the unit. The routine cleaning and maintenance so far has been very little. I’ve been trying to use the Alternate as much as possible over the last couple weeks and I still haven’t had to clean the unit yet. It seems very efficient in that sense and the only thing that will need to be cleaned is the mouthpiece and I haven’t noticed any increase in draw resistance or weird flavors so it’s still going strong. When you do clean the full mouthpiece you will want to use a 50% isopropyl alcohol mixture at the strongest. (just add some water to dilute stronger iso) I also do not recommend soaking the parts, just use the iso mixture during cleaning, and then rinse with water. Some users have reported discoloration and even weakening of the plastic when they soaked the parts in 91% iso. The battery system is the best part about the Alternate. The Alternate uses a replaceable Sony 30 amp 2100 mAh 18650 sized battery and I’ve been averaging about 30-50 minutes on a full charge. 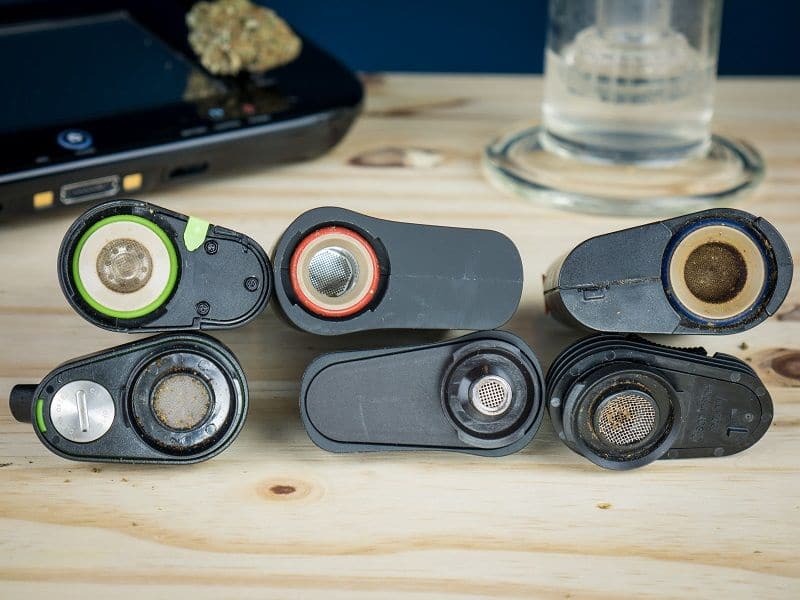 If you go for back to back bowls while the unit is still hot the battery lasts quite a bit longer compared to when you let the unit fully cool down in-between bowls sessions. Oddly enough while Vivant recommends using 20 amp drain batteries or higher, I have been using my 10 amp 35000 mAh davinci iq battery and I am getting 50-80 minutes from a full charge which is a nice improvement. If you do decide to go with the Alternate, you will want to consider picking up an external charger and an extra battery or two. This will give you more options for longer journeys and you’ll never have to worry about running out of battery life. The unit does have USB charging but it’s not full pass-through charging so I definitely recommend the external charger or you’ll be waiting quite a while for the batteries to charge within the unit. (L to R) Alternate, IQ Battery, Cover, Mouthpiece. I think I’ve already made it pretty clear that my personal favorite of the three would be the Crafty. But the extra $150 is a lot of extra commitment. 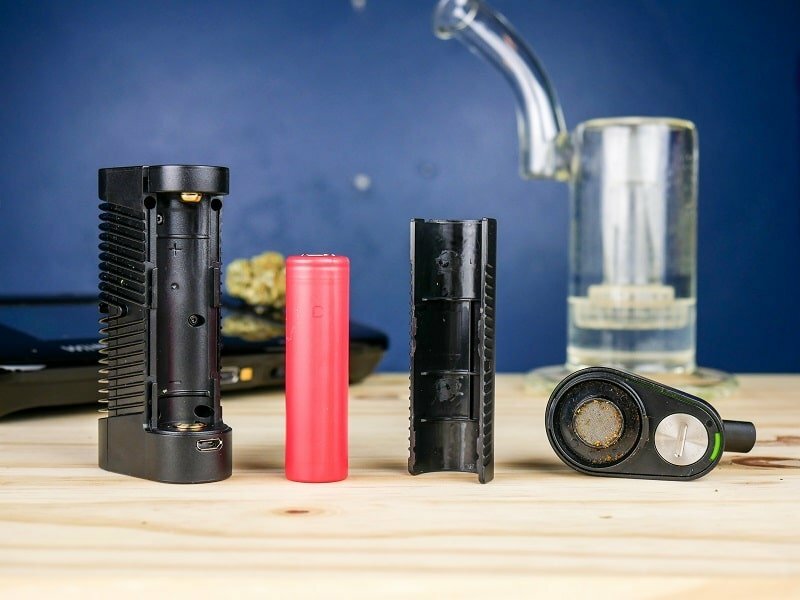 The Alternate had the potential to be the best portable vaporizer for under $150 but unfortunately they cut corners on the mouthpiece design and materials. I also didn’t really care for the plastic taste that comes with the Vivant. It does seem to somewhat disappear after a few rounds of burn-offs but that is something I never had to worry about with the Crafty. If you don’t want to spend the big bucks for the Crafty then you definitely want the CF, it doesn’t have quite the feature list that the Alternate has, but the Boundless unit works very well, and when you factor in the cheap price its honestly one of the very best valued portable vaporizers on the market if you ask me. (Chambers: L to R) Alternate, CF, Crafty. Well this is a bit awkward, but I don’t actually think you should buy the Alternate. I would have loved to see the Alternate live up to its potential, but unfortunately it just doesn’t. I definitely think you should go for the Boundless CF instead, and if you are looking for something with replaceable batteries you should check out the Xmax Starry. Thanks for checking out my Vivant Alternate vaporizer review and be sure to let me know down in the comments if you have any questions about this one or any other vaporizers. The Vivant Alternate vaporizer had a lot of potential but unfortunately had a few glaring issues preventing it from living up to what it could have been. Nice review…I love the comparison shots with the bowls and lids! I’ve seen more and more issues with the mouthpiece. I will update the review to reflect the issues. Thank you for your comment. i have a knock off of Gpen elite from ali**** , was super cheap.. But it is not that satisfying . as opened outta box and being my first vape device (all previous were conduction combustion vaporizer). I was impressed but its body has become to fall of (extreme violent use), Plus the draw resistance can only be as good as new only i clean before use. SO, Buddy in my elite , vapor was very low. (Maybe Indian weed is not good for vaping). The clouds that you see in most videos relies mostly on the weed itself. Some strains produce tons of clouds while others are very light. I also find that drier weed puts out more clouds. Great review! I just can’t wait to get mine, ordered today. Awesome! They upgraded the materials used in the mouthpiece recently as well so the unit should perform better overall. Will do! Thanks for the comment and checking out my site! Got my second Avant two weeks ago. First was sold off to a friend that could not afford the full price. I love it for the easy draw, easy load with included crusher, cleaning pin embedded when you remove the top and the flavour. I do feel the battery life is a bit on the weak side though. Over all, good value for my money. Would you mind reporting back on how the mouthpiece holds up? I kept running into problems with my mouthpieces cracking even after they updated it a bit. Hi: Vivant claims they have completely solved all overheating and bad taste issues by: re-manufacturing the mouthpiece with Peek, metal heat sink and new glue in the body. This all in version 3 about 6 months ago. Can anyone conform or refute this? Any recent experience at all? I would steer clear of the Alternate. In this price range, I would check out the Boundless CF or the Xmax Starry.